I was honored to share my SEO advice from my many years of consulting for global clients in this area. DataBox quoted my review of SEMrush in their marketing article, “35 SEO Experts Share Their Favorite Features from Popular SEO Tools”. My top 3 tips to optimize a WordPress site for SEO were also quote in an article for Capsicum Mediaworks titled, “67+ Experts Share Best WordPress SEO Tips to [Boost Rankings] in 2018”, where SEO veterans shared their own SEO Expertise. 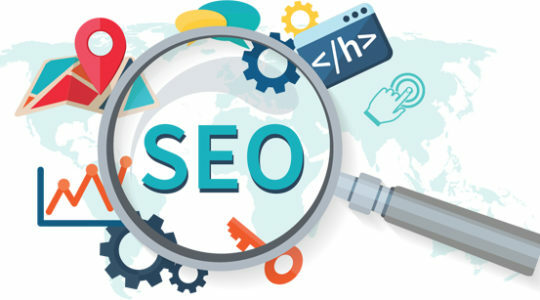 SEO Audit, Strategy and Implementation Package: For site owners of existing larger sites that are having trouble ranking. For many companies, SEO tactics that worked in the past are now being penalized by Google. It is critical to work with someone with proven SEO Expertise that is a leader in B2B SEO for thought-leadership and online brand positioning. When it comes to taming the beast that is SEO and making it work, you run into numerous roadblocks. In most cases, you likely don’t have the time or resources to identify, understand, and optimize for every change Google implements. The process can become quickly overwhelming with many essential tasks from managing content planning, keyword analysis, to social media signal planning. Book a phone consultation today! Get up to one full hour of SEO consulting online and by phone. This hour includes a prep review of your SEO challenges and includes answer to your questions. links to resources, online screen reviews of how to improve your site visibility. I will also provide training on specific on-site SEO best practices. I offer SEO workshops to ensure your B2B business or corporation maintains top search engine visibility and develops targeted lead generation through online marketing tools. For most B2B organizations and corporations, keeping up with Google’s ever-changing algorithms and getting to the top of the hyper-competitive online search engine positions, it’s important to actively engage in the most current SEO workshops and trainings available. I have trained thousands of site owners and marketing teams on SEO. To schedule an online or live workshop, use my booking calendar to schedule a training needs assessment. Choose the free 10 minute option: Book your free 10 Minutes Need Call!